I’d be lying if I didn’t admit that part of the fun of reading Suzanne Collins’ Hunger Games trilogy wasn’t imagining the far-out fashions described. Sure, most of Panem was made up of impoverished people on the verge of starvation, like Katniss Everdeen and her neighbors in the mining section known as District 12, but when it came to trumping up tributes for the Capitol’s cruel annual killing competition, The Hunger Games, the styles described were thrilling to consider (not quite as thrilling as the scenes with Katniss in the arena, of course, but I digress). Fittingly, in the marketing campaign for The Hunger Games’ sequel Catching Fire, Lionsgate is once again teasing this aspect of the film series with their viral website Capitol Couture. 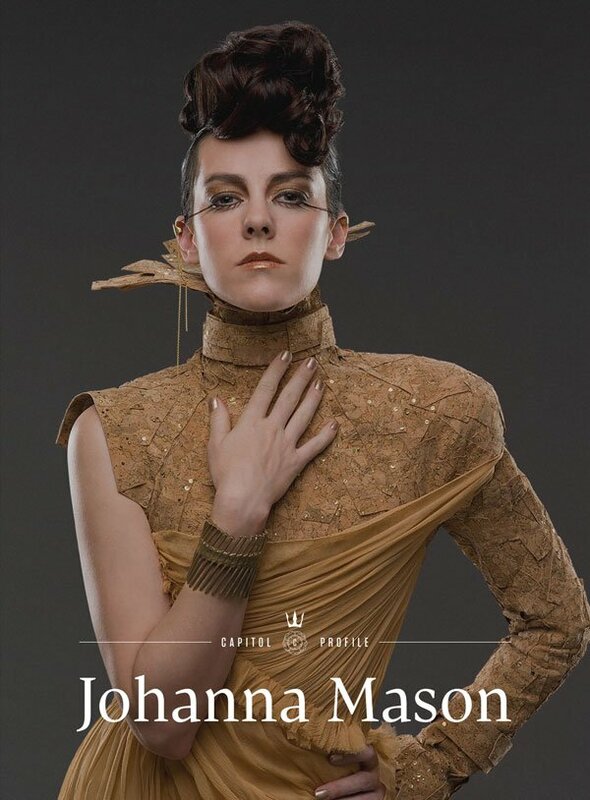 Reading like a fashion blog for the elite of the Capitol, the promo site has just revealed a profile of one of book two’s most popular characters, Johanna Mason (played by actress Jena Malone). Accompanying this article that is sure to play well to those who’ve read the book and those whose entry point was the first film is the striking image of Mason you see above in what we assume is her entry outfit for the 75th Hunger Games. In The Hunger Games: Catching Fire, Katniss is eager to return home with her fellow victor Peeta, where she expects her biggest trouble will be dealing with the budding romance the two sparked during their quest for survival. Little does she know what the cruel President Snow had planned for her. Having inspired revolt with her win, Katniss has become a beacon of hope the Capitol is eager to smother. They create a special twist for the 75th Hunger Games, putting Katniss and Peeta in peril once more. Instead of luring in new fresh-faced tributes, this Hunger Games - known as the Quarter Quell - will bring together 24 of the games past victors. Meaning Katniss’s chances of survival are even less certain than last time. In the book, Mason was adored by fans for her brashness and sass. There her entrance is made memorable by her quickly stripping out of in public the costume she despises - making Katniss incredibly uncomfortable. But could these two possibly become allies? Unlike those Mason took down with an axe during her first Hunger Games, Katniss knows not to mistake this tribute’s small stature for weakness. But as to how the rest will play out, we’ll have to wait for The Hunger Games: Catching Fire to hit theaters on November 22nd.